We currently are looking for donations for the sale. Please look through those closets, and we will take furniture, clothing, home goods, Christmas decorations, collectibles and anything that you think that shoppers would like! This is a great way to clear the clutter and provide for a wonderful cause. Anything left over will be given away at the end of the day, or may be picked up by donor. Horse items will also be accepted! 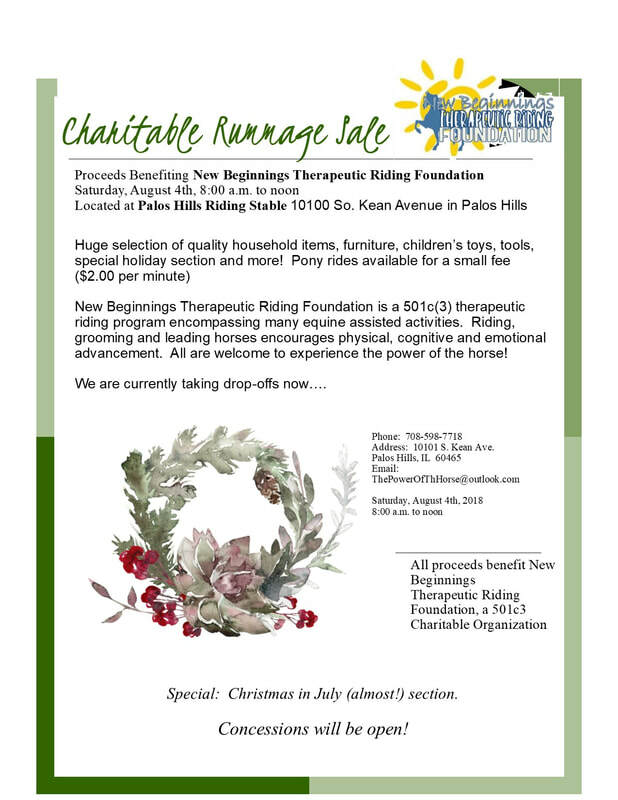 located at the Palos Hills Riding Stables, Inc.